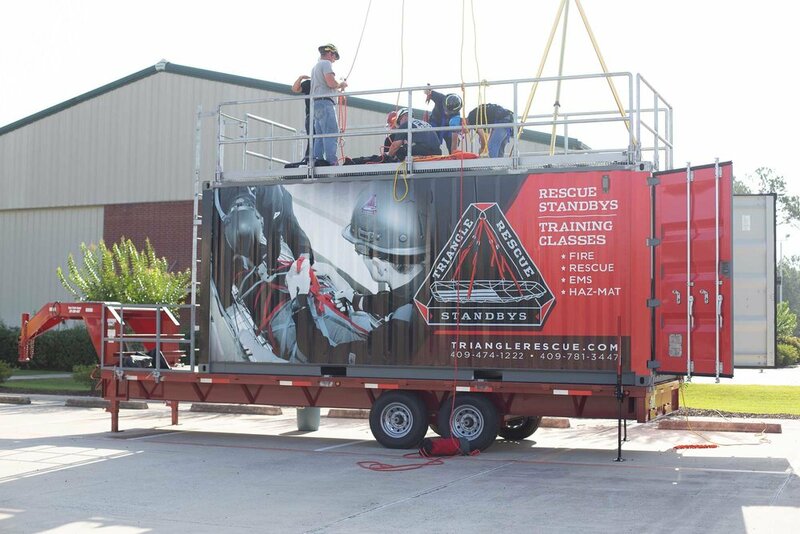 Mobile confined space training trailer - This trailer is unique and one of a kind in the area. It is equipped with three (3) standard 24 inch man ways, two (2) vertical and one (1) horizontal. 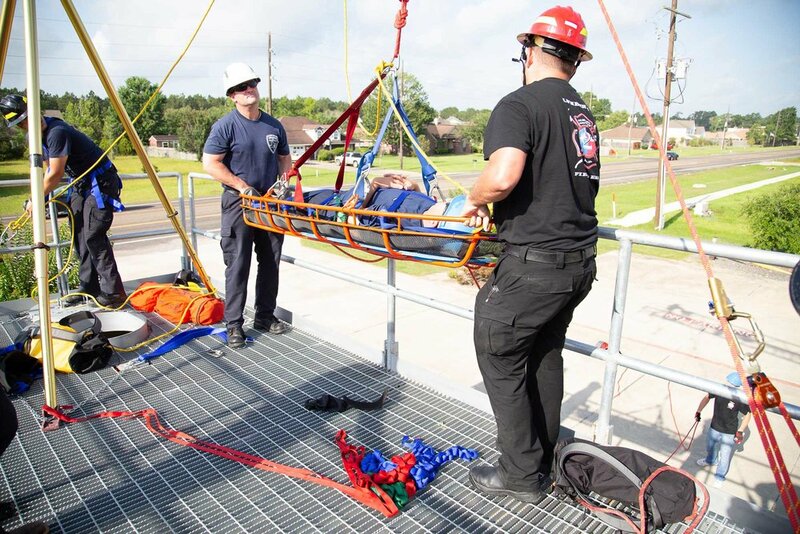 The top is configured in a way that allows for all of our OSHA approved handrails with toe boards to be folded down to meet DOT regulations for transport. Additionally, the top deck is made of standard industry grating to ensure a non-slip working surface. 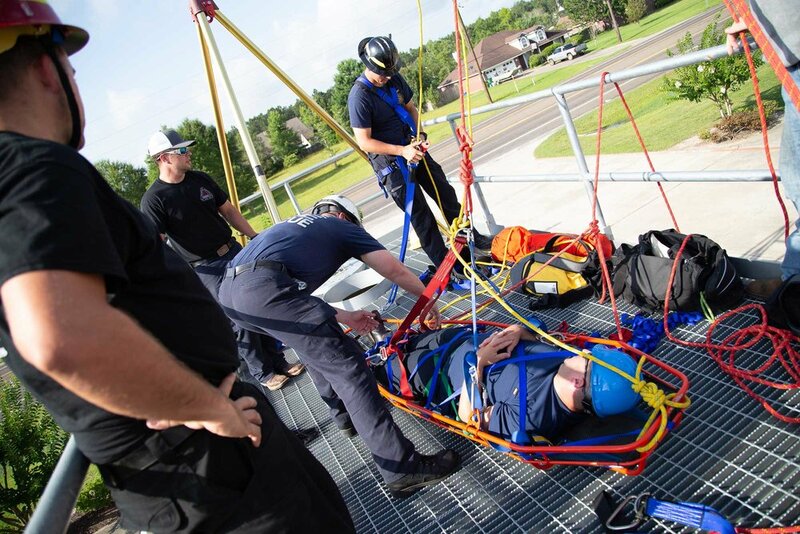 It is equipped with an internal configurations consisting of piping, entryways, and hopper bottoms all which are designed to challenge even the most elite teams. 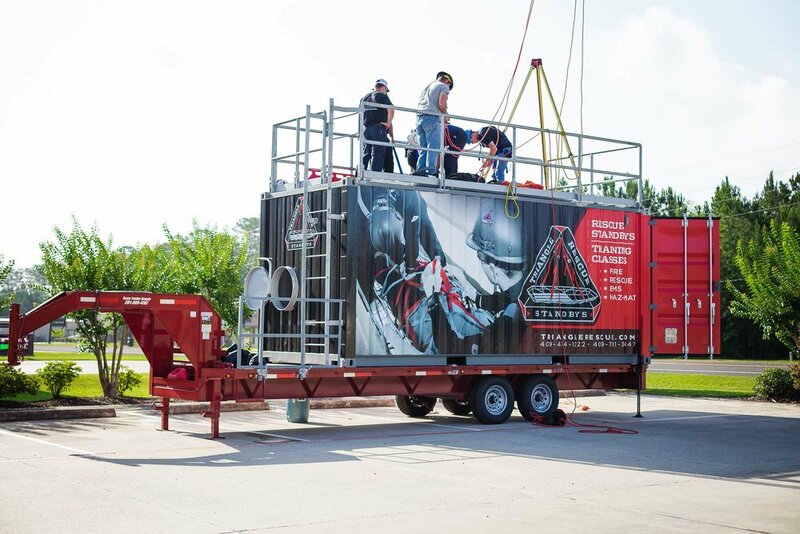 We understand that it often is not feasible to send your Emergency Response Team(s) offsite for training, our mobile training trailer can be set up on-site at your facility for a cost efficient delivery of professional rescue training.